One large casket and three heartbreakingly small ones. Four family members who died in a duck boat accident in Missouri on July 19 were laid to rest at a ceremony in Indianapolis, Indiana, on Friday. Tia Coleman, who was with 10 family members that day, lost her husband, 40-year-old Glenn Coleman, and their three children, 1-year-old Arya, 7-year-old Evan and 9-year-old Reece. The duck boat they were on capsized and sank during a storm in Branson, Missouri. Seventeen passengers were killed. 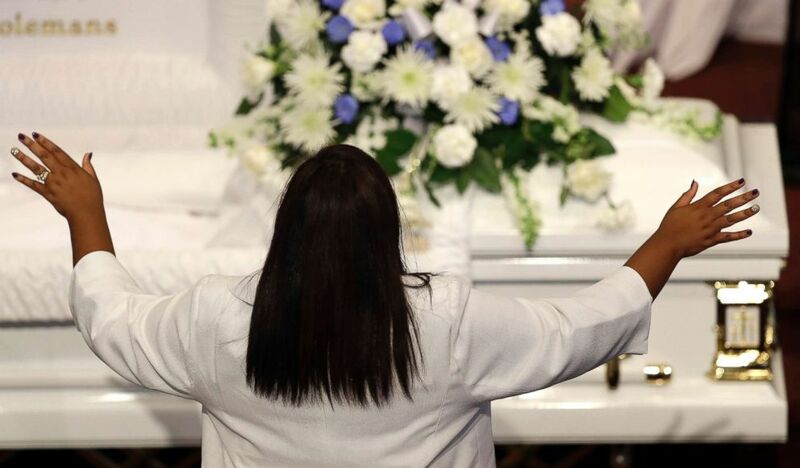 Tia Coleman stands during a musical selection during a funeral for her husband, Glenn Coleman and children, Reece Coleman, Evan Coleman and Arya Coleman, July 27, 2018, in Indianapolis. Tia Coleman and a nephew, Donovan Hall, were the only two family members who survived. The funeral, held at Grace Apostolic Church in Indianapolis, was at times somber. Congressman André Carson of Indiana's 7th District and Marion County prosecutor Terry Curry spoke at the service. Tia Coleman works at Curry's office. Tia Coleman told reporters shortly after the incident that the captain had showed passengers where the life jackets were but told them they would not need them. 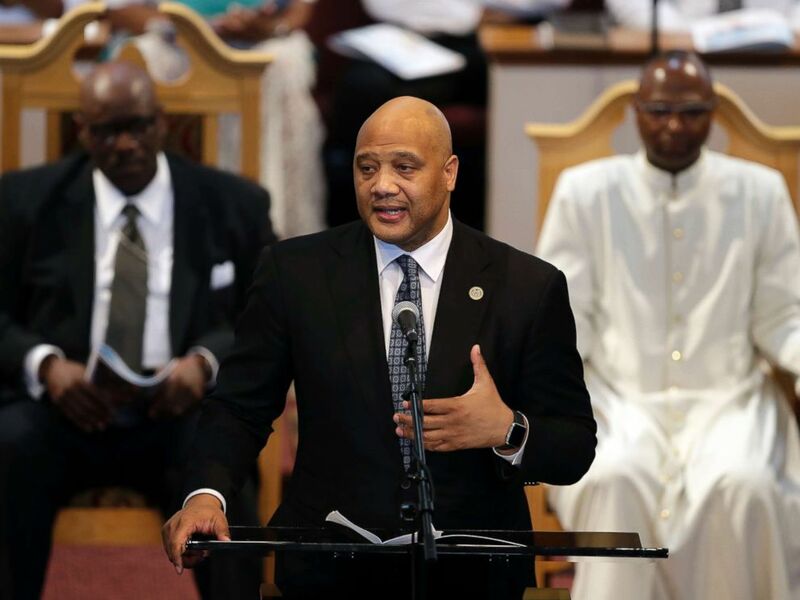 Congressman Andre Carson speaks during the funeral of Glenn Coleman, Reece Coleman, Evan Coleman and Arya Coleman, Friday, July 27, 2018, in Indianapolis. The National Transportation Safety Board is investigating the accident and looking into what led to the tragedy.